Sony has released details about some of the online features for the forthcoming action RPG Bloodborne, the PlayStation 4 exclusive follow-up to From Software’s popular ‘Souls‘ series (Demon’s Souls, Dark Souls, Dark Souls II). 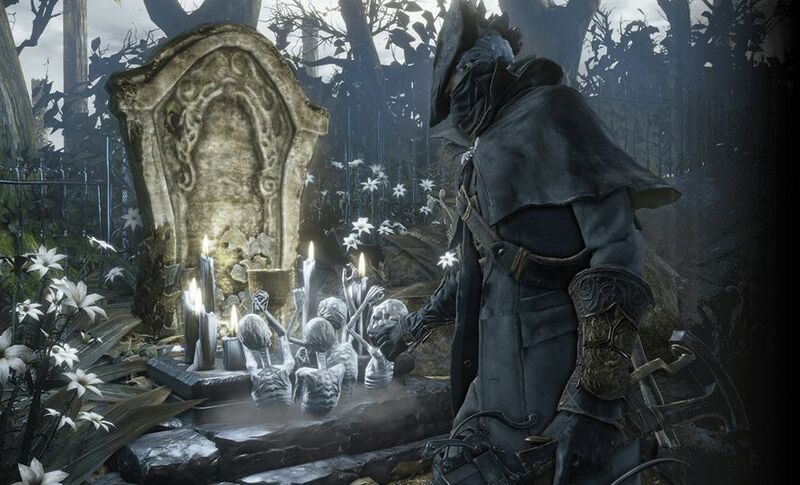 In the game, you play as a traveler visiting the city of Yharnam to obtain a rare remedy for illnesses. However, upon arriving at your destination, you find that the area has been overrun by its malformed citizens, and you are forced to survive against hordes of mindless enemies bent on your destruction. Combat will be fast-paced, and your character will have to use their speed and agility to overcome these threats so they can live to see another day. Players will be able to join forces against the monstrous hordes. The hosting player will use a special item called a ‘Luring Bell’ to pluck other players from their worlds so they can assist. The players wishing to join in someone’s struggle will first have to use an item called a ‘Small Resonant Bell.’ Co-op play ends when a stage boss is defeated, whereupon everyone is sent back to their respective worlds with whatever rewards they earned to that point. If any of the three players dies during co-op play, the session comes to an end and visitors are sent home empty handed. Co-op play also ends if the ‘Parting Shot’ item is used. An interesting new element of co-op play is the ‘Watchword’ feature. To use it, a player can set up a password of up to eight characters in length and other players that know the ‘Watchword’ will be matched with the host’s session whenever they use the ‘Luring Bell’ to summon aid. This will make it easy for friends to work together without the luck of the draw to make it happen. The ‘Watchword’ will not be usable for PvP sessions, however. PvP features were also detailed. Up to three people can compete against one another, with one player as the host and the other two as guests. In order to invade another player’s world, an item called an ‘Ominous Resonant Bell’ will have to be used. An extra aspect of PvP is the possibility of a Chime Maiden appearing to complicate things. A Chime Maiden is an enemy that can spawn during PvP. In rare cases, a Chime Maiden might already be present in a zone when the hosting player enters it. The ultimate goal of PvP is for the guests to defeat the host and, if they succeed, they are returned to their respective worlds with any rewards they’ve gained from the victory. As with co-op play, PvP can be ended when a player uses the ‘Parting Shot’ item. 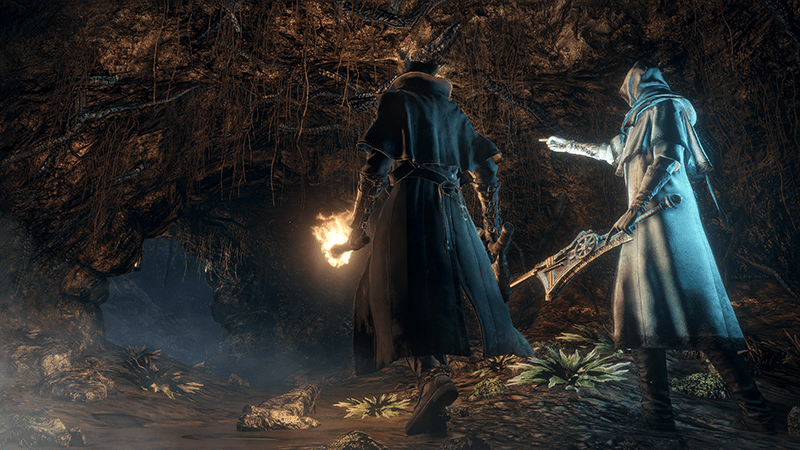 When online in the Chalice Dungeon areas, gamers will be able to leave messages for others to read, as well as see the ghostly traces of online players in the same zone. When a character dies, they leave behind a tombstone that can be examined to see exactly how their adventure came to an unfortunate end. Chalice Dungeons are areas where players can fight monsters and navigate perils to earn additional rewards. There are two types of Chalice Dungeons in the game; normal and generated. Generated dungeons are different every time they are queued, and will greatly increase replay value. Even better, generated dungeons can be uploaded and downloaded so other players can experience them for themselves. “Better him than me,” thought jamie8401. Anyone looking to play online, generate Chalice Dungeons or share their Bloodborne experience via the ‘Share’ button on the Dual Shock 4 controller must have an active PlayStation Plus subscription. Plus will not be required to download updates or other players’ generated Chalice Dungeons, however. A day-one patch will improve functionality both online and offline. 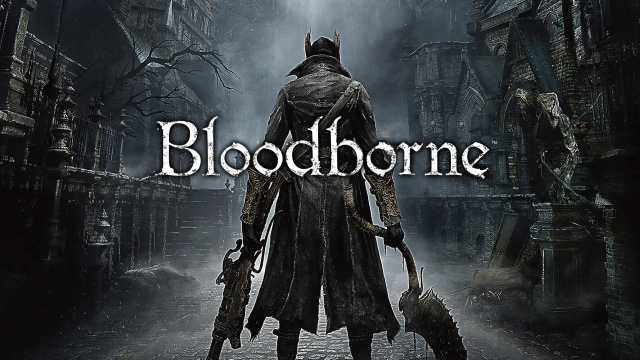 Prepare to die all over again when Bloodborne hits store shelves exclusively for PS4 on March 24 in North America, March 25 in Europe, March 26 in Japan and March 27 in the UK.